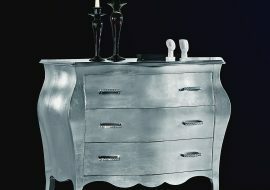 Orsitalia presents Sara nighstands made in Italy of strong wood, in Contemporary Baroque style, gilted and silvered. 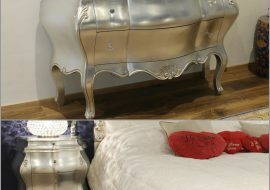 Orsiitalia produces Sara nighstands with one drawer in two sizes: big one , as photo, W. 81 cm or small one W. 56 cm. 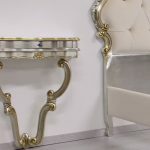 Orsi Italia create these nighstands to be hanged to the wall for a long life . 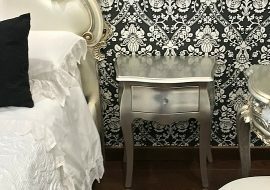 The bedroom’s furnishings art. 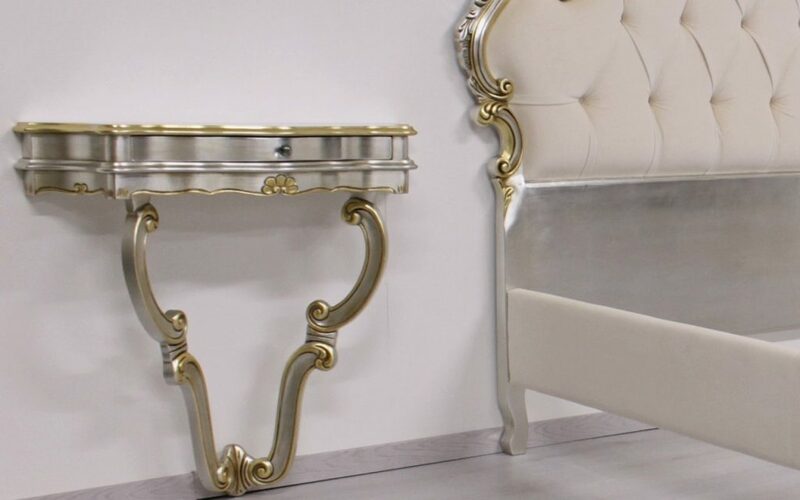 Sara, in new baroque style, offer luxurious and sophisticated lines, and they are manufactured in Italy by skilled Italian artisans of Orsi Italia. 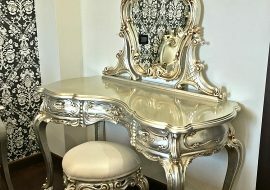 Orsitalia custom-made the bed furnishings with full colored enamels, luxuous silvering or gilting. 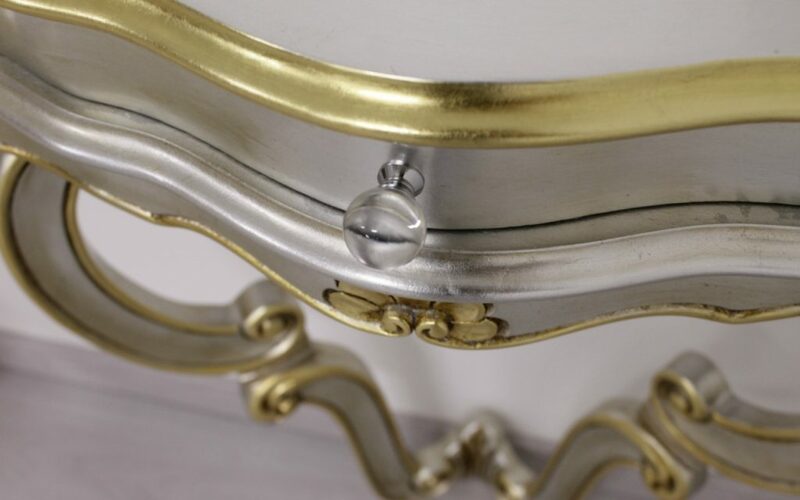 Orsitalia gives a wide choice of handles or knobs: in Swarovsky, Murano’s glass, chrome-plated or gold-plated classic or contemporary metal handles; to make these luxury baroque pieces of furniture perfect for luxury classic bedroom or high-living modern room. Our young designer Matteo Orlandin will support you in every step of yr project. 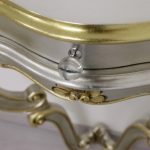 frame maintenance: soft cloth slightly damp. do not wash the wood frame with water or do not use any industrial cleaning product. 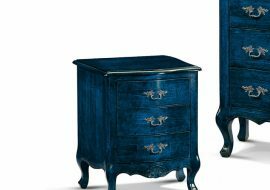 Nighstand Big : W. 81 x D. 31 x H. 75 cm. 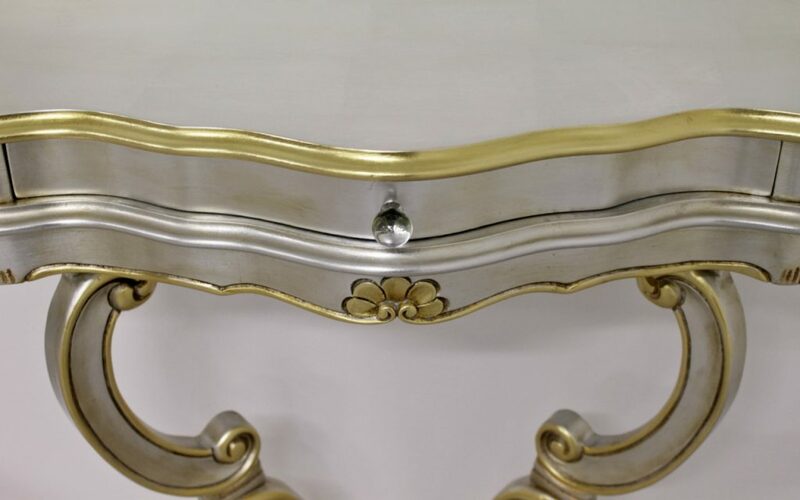 Nightstand Small: W. 56 x D. 23 x H. 55 cm. 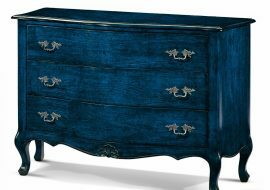 All ORISTALIA’s models are entirely handmade, like in the best Italian artisan tradition. We start creating our masterpieces from a solid wood’s frame, which is then manually carved by master craftsmen. 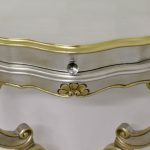 Our creations then undergo the phase of wood finishing by manual lacquering or by the manual application of metal leaves. 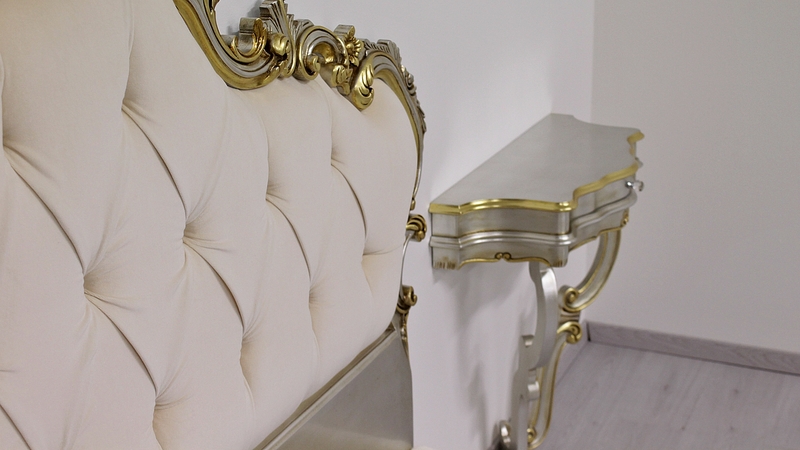 Our sofas are then manually upholstered using polyurethane foam and feathers for the padding. The finest leathers and velvets or silks give the final touch. ORSITALIA performs quality control tests in every phase of the production line, to always assure to our customers only the highest quality. Our strong point is the ability to offer tailor-made solutions, to fulfill every request of our customers.